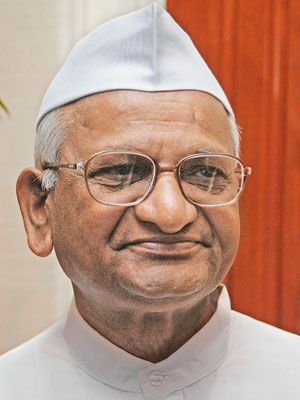 Anna Hazare episode which once marched on the Raj Path, now dragging along the sidewalks. The 'Team Anna' committee discussing about their panel's suspension / core's disbanding is an indication of failure. Pressure from the Government makes them to act so. Corruption in India is a well-rooted one. One cannot escape from its clutches. Same for those in the Team Anna also. No one can give a clean chit here. People wont expect that also. You can't eradicate corruption fully from the grass root. Clean the top level first . From top the pyramid will flow down to the bottom. In this phase, resignation by two of its members is not a solution. Like Kejriwal's NGO putting 80% of Team's funds into its pocket or Kiran Bedi overcharging her tour organizers for her air trips. One way or other they fall prey for this corruption plague. If Hazare replace those who are charged now by new ones, they also have or had indulge themselves in this type of practice in the past or in the future. Hazare is left spell bound. 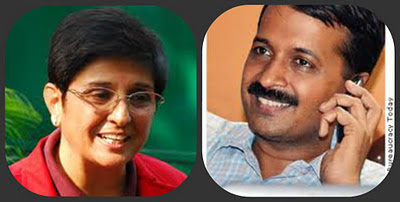 Hazare not easily compromise in this matter or some people around him not let him to do that. He is a true Gandhian. He lived and lives a life of simplicity. No one points a finger towards him. That's true. The generation gap between him and others are to be noted. They lived and enjoyed a different life style than Mr. Hazare. They cleverly blend their own commitments with that of the society. They are flexible or make India flexible to them in all matters, like we all do. We enjoy 'Taken For Granted' type of democracy. Hazare should understand this. His age wont allow him to tow and pull these fellows behind him. Whether its Congress or BJP, whoever sits in the power, the bill can only possible by cooperating and making flexible changes to it. We all know Gandhi's adamant nature in opposing the proposal forwarded by Jinnah on that time of Independence is dragging and dripping us in bomb blasts every here and there. Not accusing Gandhi in this matter. He may want the unity of both the religions in the future. But practically does that worked out? So Hazare must know, that the year old solutions are of no use. Look upon the matter in a positive way. Not let your voice speak through media. Round table talks help more than the satellite talks. Is it not that our Gandhi teaches us? 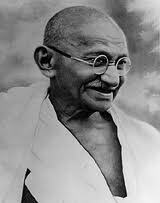 To day Gandhian style will not do. Polticians do not have any character. Please come to a properous state of India where non congress govt is in power, ministers openly take bribe in transfer n posting. corruptio is all time highest here.